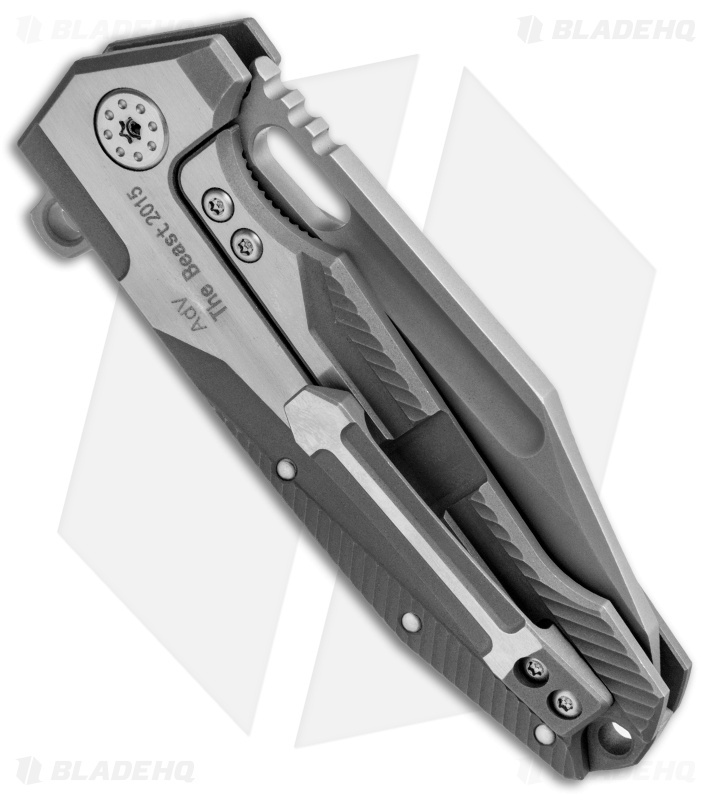 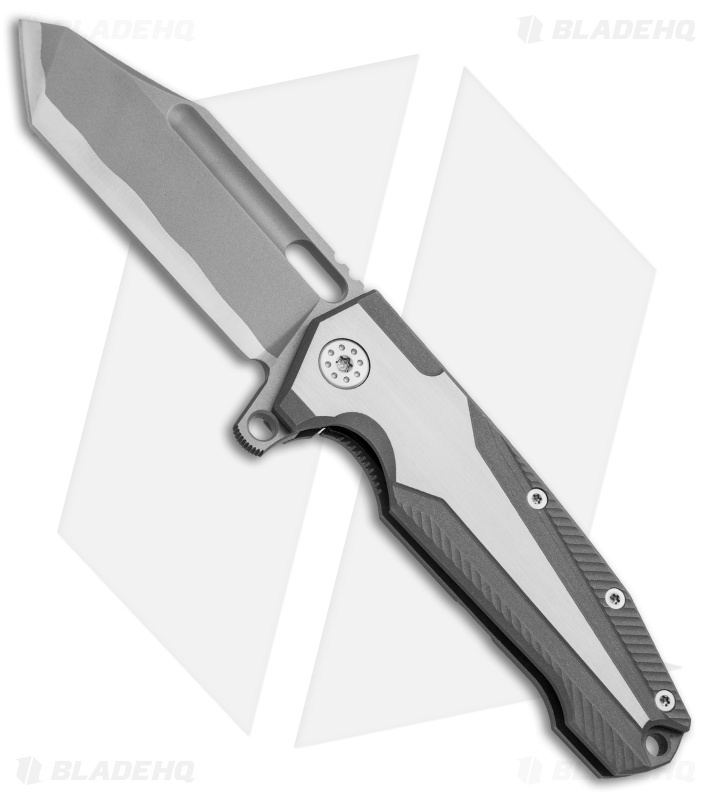 The Beast folder from Andre de Villiers is a beefy, solid built titanium frame lock knife with attitude. It's more than just a large knife, it offers an optimal shape that caters to in-hand comfort and control. 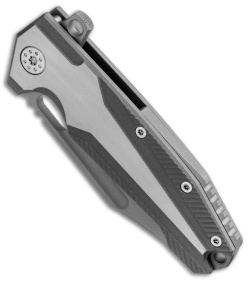 The milled titanium handle is bead blasted and satin finished. This model has a bead blasted imitation Hamon finished blade.